Mit 37 Jahren Erfahrung im Militär und im diplomatischen Dienst, verfügt Anthony Monckton über weitreichende Erkenntnisse, mit einem besonderen Schwerpunkt auf dem Balkan. Seine jüngsten Erfahrungen in Zentraleuropa, in Wien, standen bei der Reform des Sicherheitssektors im Vordergrund. Er hat komplexe länderübergreifende Untersuchungen geleitet und als ehemaliger Leiter von Learning and Development im Auswärtigen Amt hat er sich auf die Entwicklung von Führungskräften, Coaching und Einschätzung konzentriert. Als Leiter der Analyse im Joint Terrorism Analysis Center bildete er Analytiker aus und war führend im Bereich der Analysentheorie und -praxis. Er ist ADRg-zertifizierter Zivil- und Handelsmediator. Er spricht Englisch, Serbisch, Französisch und Deutsch. Edward Allen has multi-jurisdictional experience in competitive commercial intelligence covering business investigations, political risk and security analysis. 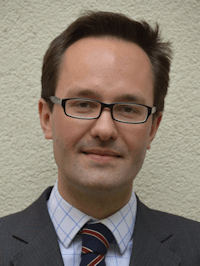 Edward specialises in managing international research projects and human source inquiries. Prior to ViennEast, he managed a private intelligence unit in Basra, Iraq, working with the Iraqi Army to provide tactical intelligence to International Oil Companies. Edward was previously the Arabic Editor at the UK Government’s Media Monitoring Unit and worked on counter-terrorism and radicalisation issues with various London-based think tanks. He has a BA and MA in Arabic with Islamic History from Oxford University and also speaks Italian, French, and basic German. Marcus How is the head of research and analysis. He studied at the University of Nottingham and Kings College London, ultimately obtaining a Masters in International Political Economy. He has seven years of experience in the political risk sector, which included working at a leading information consultancy in London. He is specialised in Central and Eastern Europe (CEE) generally but with particular expertise in Poland, Hungary, Czech Republic, Slovakia, Romania and Ukraine. He is also fluent in German. Maximilian Kratschke did a Bachelor’s degree (Hons) and subsequently a PhD in Neuroscience at Edinburgh University. Max has worked on a wide range of research projects and his interests are centred around the prevention of corruption and adherence to the rule of law in the EU. He speaks English and German. We are not currently recruiting core staff but are always interested in receiving offers from those with relevant CVs, either to work on a contract basis or in partnering for investigations or government reform programmes.